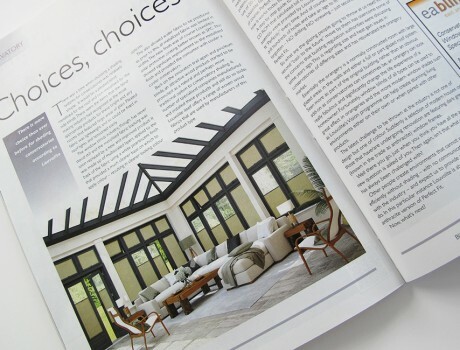 Another scoop for Red and Gray as another magazine article features our images. This well known blind company has been a client of Red and Gray’s for a long time now and they are eagerly taking advantage of the flexibility and efficiency they have gained through the use of CGI with this latest advertisement. Re-using an existing conservatory set from some time ago, Louvolite had it redressed, changed the colour scheme and added in their new blind product to create a completely fresh image of this conservatory blind.